See and be His art. The second chapter of The Hidden Art of Homemaking is short, and titled “What is Hidden Art?” I love reading all the many women’s thoughts on this topic, which [used to be found, but not these several years later] on Ordo Armoris where the discussion [was] taking place. It’s a huge topic! Each human is a living and complex demonstration of creative powers, as is revealed by the uniqueness of each woman’s life as expressed in her contributions to these discussions. The stories, the photos on the Hidden Art Pinterest page, the glimpses into the families whose wives and mothers are taking time to share their creativity online in addition to the never-ending work they do in their homes….it’s all a glory to the Creator. Obviously, art is hidden as long as you don’t see it. That seems a basic point of this discussion. For me, having children opened my eyes to the world in a new way, because I often thought of my babies as tiny foreigners who were themselves seeing things in this new “country” for the first time. It was fun being the tour guide, and it challenged me to look afresh at my environment. Sometimes just pointing a camera at some everyday scene helps to reveal a pattern of beauty – or to preserve the art when there isn’t time for a quick sketch. 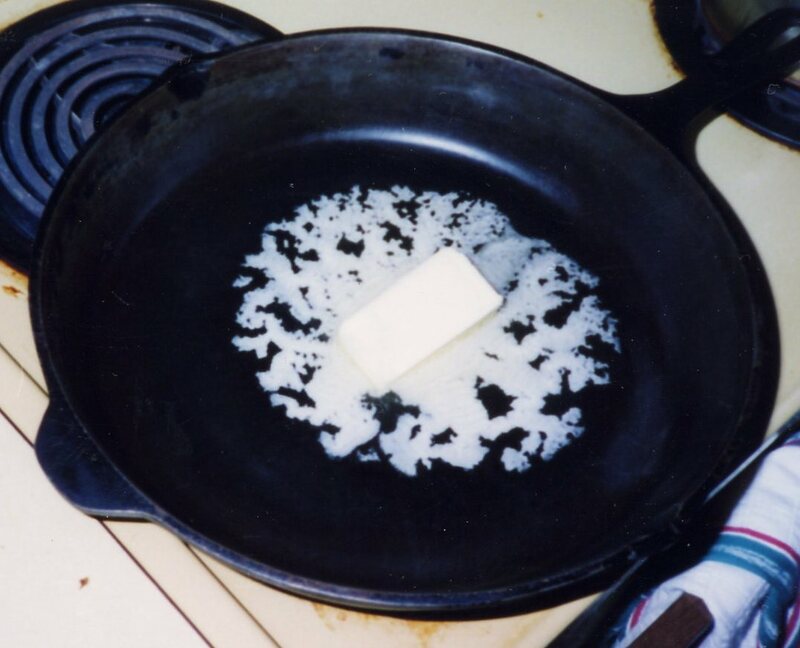 My picture that I titled “Butter Art” so many years ago still makes me happy with its hominess, and it calls to mind the intangible kinds of creativity that I also brought to bear on the task of mothering my children, small “art” projects that took place in the kitchen, or the garden, or — the heart. Might this not include the developing in us of the fruits of the Spirit, the love, joy, peace, kindness, longsuffering, etc. that are so essential to making a home? I know that Edith Schaeffer in the book under discussion is primarily dealing with outward, visual or sensory beauty. But what if we could “create” peace by our very presence, or transfer some of our own joy into our children’s hearts? Mothers naturally do those kinds of things, and often it’s by the attitude they have while they are accomplishing practical works such as laundering the socks, changing them from stiff and smelly to soft and fresh. It all starts with something we are. The artistry of our God is not just something to imitate, but is His active work in us, with which we participate, and by which we become ourselves lights in the world. Lovely Post. I know that what you write still speaks to my soul as it did when I was a young Mommy trying to learn and teach my babies every thing I could. Never would I dream how I love watching my girls carry on where I left off. I think seeing the other generations of women carry on the Hidden Art of Homemaking is so exciting. I have always loved that part in being a woman. Butter Art – now, that's Hidden Art! Love this, especially the last paragraph. I'm afraid all too often I can take care of household messes with resentment rather than as a ministry to my family, and all the artisticness I can appreciate and incorporate in my home counts as nothing if my heart and motives are ugly and not transformed by God. Really lovely article you've written. I'm very impressed by Butter Art. Very! This is the essence of who you are, in many ways…I often wish I could have your beautiful attitude in daily life. And the way you took the life you were given and intentionally made it something so much better, with God's grace, I am amazed by. Butter art!! Who would have thought of it but it is there for those with eyes to see. Thank-you so much for pointing it out. I am sure I would have missed it.